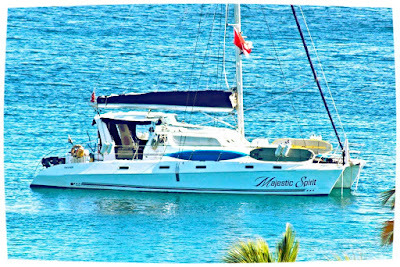 We have added the catamaran Katlo, a 45-foot Lagoon, to our website. They charter in the Virgin Islands in the winter and move up north for the summer to charter in New England. 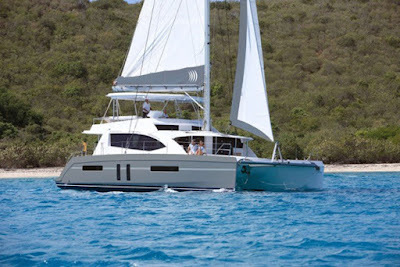 Katlo is a 45-foot Lagoon catamaran with a crew of two. 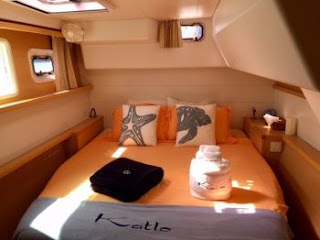 Katlo is fully air conditioned and accommodates up to 6 guests in 3 ensuite Queen cabins, each with electric toilets and stall showers. The forward, port guest cabin can be converted into 2 single beds on request. Katlo has a 13-foot dinghy with 40HP motor, waterskis, tube, wakeboard, 2 standup paddleboards (SUPs), 2 surfboards, a clear-bottom double kayak, snorkel gear, fishing equipment, hammock, TV/DVD in salon, iPod dock, onboard wifi, floating mats, underwater video, etc. Catamaran Katlo charters in New England in the summer and in the Virgin Islands the rest of the time. The charter yacht Majestic Spirit, a 53-foot Royal Cape catamaran which accommodates up to 6 guests, has lowered their rates. 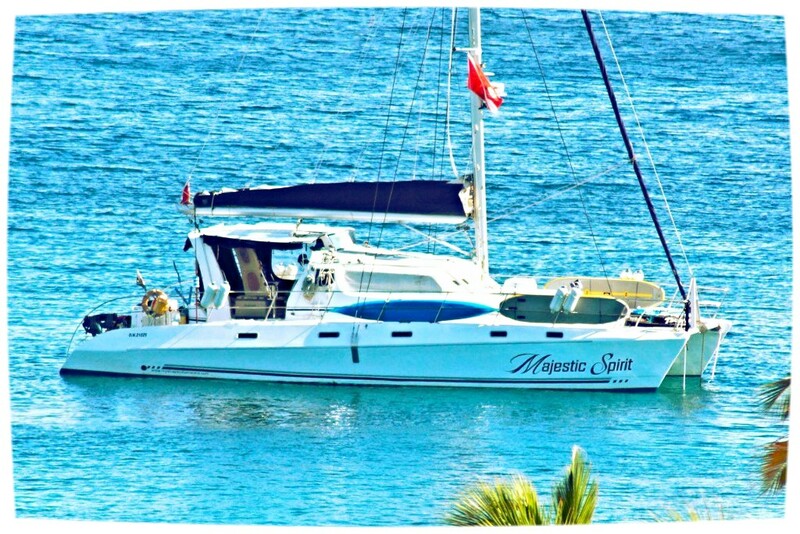 Majestic Spirit is a 53-foot Royal Cape catamaran with an owner-operator crew of two, Dave and Desirée Bean. Majestic Spirit is fully air conditioned and accommodates up to 6 guests in 3 cabins (2 Queens, 1 Double) each with ensuite head (shower & electric flush toilet). They have a 15-foot dinghy with 70HP motor, waterskis, tube, kneeboard, wakeboard, 2 kayaks, 2 standup paddleboards (SUPs), snorkel gear, floating chairs, underwater camera, hammock, TV/DVD in salon, onboard wifi, beach games, deck chairs and loungers, etc. Diving is included in their charter rate: Certified divers: 5 dives/week, gear included. When guests continually want to steal the chef, Desirée, and take her home with them, or when they lick their plates and ask if she can PLEASE publish a recipe book and make sure to let them know so they can buy one, you know the food is good. It is such a pleasure to read the guest comments after they leave and discover just how much they enjoyed the food. This is no joke... Majestic Spirit is ultra spacious and has LOT'S of headroom. This was proven on their New Years Charter when Majestic Spirit had ex-NBA Player Tom Gugliotta on board for a week. Tom is a BIG man and stands 6'9" tall. With his arms stretched as high as he could, he was not able to reach the ceiling in the cockpit. He had at least 4" of headroom clearance throughout the rest of the boat. The bed? He loved it. Majestic Spirit also has a enormous amount of deck space for lounging. Like Tom said, "I was hesitant about being all cramped up on a boat for 7 days, and I was skeptical about the broker's confidence about there being a lot of space, but now that I am on board... WOW, this boat was made for me. It's huge!" The crew on Majestic Spirit simply get on with everyone. They are experienced professionals who can deal with virtually any situation. Life is too short not to have fun and they want you to enjoy your vacation to the max. So, whatever it is that you want to do, they will turn it into a fun occasion. Families, groups, couples, and even newlyweds... they have got you covered. Dave's motto is "We have water, therefore we can play!" 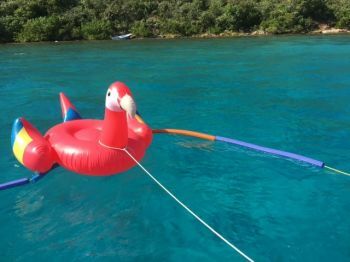 For snorkeling, wake boarding, skiing, using the aquanaut and more, you don't have to ask twice. Just get your life jacket on and let's play! Swimming with the turtles in secret locations, going to the fish feeding, dressing up and going to a pirate show... it's what they do and they love doing it. If it can be done, it will be done!! Generally, within 5 minutes of boarding, everyone feels totally at home on Majestic Spirit. 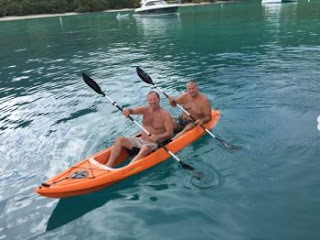 The calm, casual, friendly yet professional manner of the experienced crew helps guests relax immediately and within a hour or so, it's like everyone are long lost friends having fun together. After a week, everyone is more like family than friends, which is evident from the guest comments and repeat bookings. Book now for a fabulous vacation in the Virgin Islands! 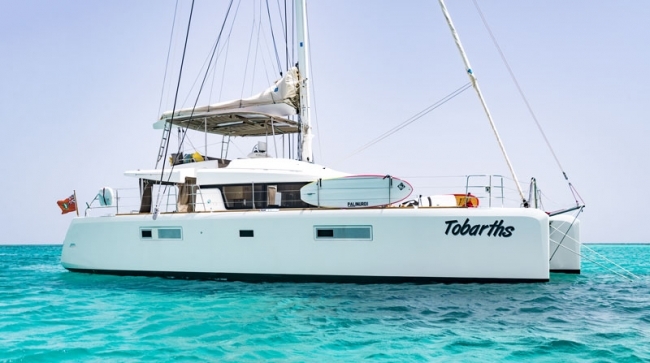 Charter Catamaran Tobarths has informed us that they have lowered their rates by 10% for the rest of the season, PLUS they have a Valentine Special for February 2017. 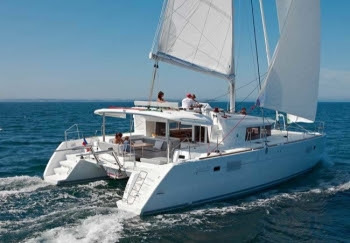 Book a charter aboard catamaran Tobarths to take place in the month of February 2017 and take an additional 15% OFF, PLUS they will include Perrier Jouet Champagne (1 to 2 bottles depending on number of guests booked). 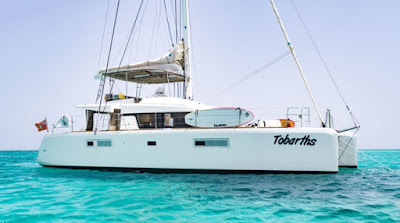 Tobarths is a 52' Lagoon catamaran with 2 crew. Tobarths is fully air conditioned and accommodates up to 6 guests in 3 Queen ensuite cabins each with electric-flush toilet and stall shower. Roomy yacht with lounge areas in aft cockpit, flybridge, and forward lounge area. Tobarths has a 14-foot dinghy with 40HP motor, tube, wakeboard, 2 standup paddleboards (SUPs), 6 floats, snorkel gear, TV/DVD in salon, onboard wifi where available, etc. NON-SMOKING yacht. Book now... Celebrate Valentines in the Virgin Islands! Charter yacht THE ANNEX, a 58-foot Leopard catamaran that can accommodate up to 10 guests, has a special Valentine's offer. The Annex is a 58-foot Leopard catamaran with a crew of two. The Annex is fully air conditioned and accommodates up to 10 guests in 5 Queen cabins (one Queen can be converted into two Twin berths), each having an ensuite head with electric toilet. For lounging there is the top flybridge, aft cockpit, forward cockpit lounge area, trampolines, and the salon. The Annex has a 16-foot, center console dinghy with 60HP motor, water ski for kids and adults, tube, kneeboard, wakeboard, 2 double kayaks, sailing dinghy, snorkle gear, fishing equipment, beach games, satellite TV in salon, wifi where available, etc. Super tender offer: 24-foot center console tender with 230HP outboards available at additional cost of $2,900 per week. This allows excursions further afield of the yacht. Operation of the tender is legally limited to the Captain. Book now... Celebrate Valentine's Day in the Virgin Islands! Our first special offer of the new year! Lobster Dinner & Island Tours for charters booked by March 15 and taking place by June 30, 2017. Valid with children's discount, too. 7-night charter: Lobster Dinner at Potter’s by the Sea on Anegada or Harris’ Place on Jost Van Dyke, PLUS free guided island tour of Anegada and Virgin Gorda! $250 off for each child age 17 and under (maximum of 4 child discounts per charter). Not valid for Christmas and New Years charters. 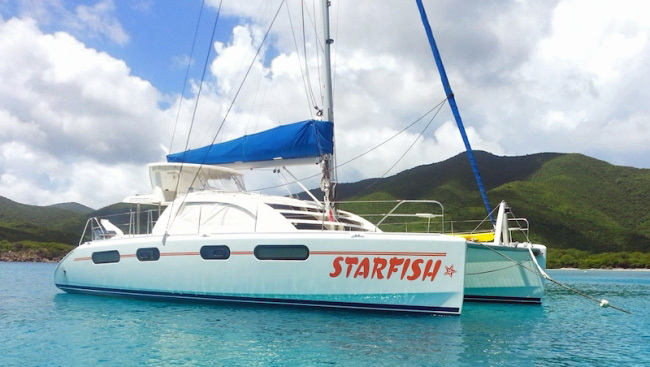 The charter yacht Starfish is a 46-foot Leopard catamaran with a crew of two. The yacht is fully air conditioned and accommodates up to 6 guests in 3 cabins, each with Queen berth and ensuite head (has electric-flush marine toilet and separate shower stall). Starfish has a 13-foot dinghy with 40HP motor, waterskis, tube, kneeboard, wakeboard, 1 SUP (standup paddleboard), single kayak, hybrid SUP/kayak, snorkel gear, fishing equipment, floating mats, beach games, underwater camera, TV/DVD in salon, iPod dock, onboard wifi where available, 6 beanbag chairs for lounging, body surfboards, hammock, etc. Book now... What a great way to start the new year!